Hamilton Tennis Club’s ladies’ first team maintained their promotion push with a satisfying 7-1 win over Rothley Ivanhoe. Jessi Jackson and Margaret Roskell led the team with a four-set maximum, while Rosie Gildove with Sue Corfield were close behind with three sets, including a tie-break win from 5-2 down. 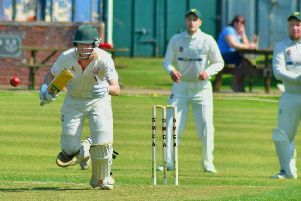 It tied in with a good week of results for the Melton club as the winter leagues near their conclusion. The men’s second team of Doug Hacking and David Gildove, and Will Harrison with Ciaran Boylan recorded their best result of the season to beat Enderby Seconds by seven sets to one. Doug and Dave led the team with maximum four sets. * Hamilton’s ladies’ second team also gained their best result of the season with a 7-1 win over Market Bosworth Seconds. There was another four-set maximum, this time for Cindy Coulter and Jan Jackson whose unconventional style tied the opposition in knots, while Lesley Greaves and Sue Harrison claimed three sets. * The third team completed a clean sweep for the ladies with a 5-3 win over Stoney Stanton Seconds. Nicky Herbert and Maggie Saunders led the team with three sets, and Chris Stevens with Linda Hallam chipped in with two. * The men’s first team of Jimmi Cox and Ben Catlin, and Andy Douglas with Joe Jackson were well beaten 8-0 by Loughborough’s first team. And Hamilton’s men’s third team of Mark Ashman, Fraser Rabbit-Dalby, Craig Tracey and Edwin Shufflebotham were awarded a walkover when Loughborough Thirds conceded their match.